Orders placed after July 25, 2018 will be delivered as soon as possible but will not be guaranteed before school begins. ORDER DELIVERY: Please allow up to 2 weeks for delivery of uniform orders. In most cases orders will ship within 3-5 working days. However all school items are customized, should an item be out of stock at the time of your order it could take up 2 weeks to fulfill. 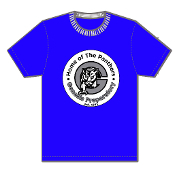 Ocasionally an item may be backordered from a manufacturer, when this occurs we may offer a subtitute color if available and we will also inform Genesis Prep of the delay so there will be no uniform issues for your student in the classroom while the item is on backorder. Free delivery is offered to Genesis Prep approximately the 15th of every month. For this option Please choose Free Delivery to School at checkout. Copyright © 2012-2019 IDEALSCHOOLAPPAREL.COM. All rights reserved.